Malays are the original inhabitants of Singapore but today, they represent the second largest ethnic group. Malays speak the Johore Riau dialect. The majority of Malays here are Sunni Muslims. They pray to Allah five times a day and they observe fasting every Ramadan. They only eat halal foods. Famous festival includes Hari Raya Puasa. If you want to see their arts and have some shopping, you should head to their district-the Kampong Glam. 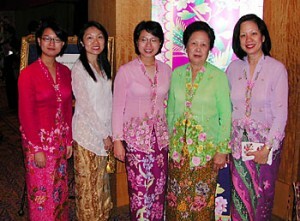 Peranakan refers to the descendants of Chinese merchants who migrated to Malay Archipelago. Pernakan culture refers to the mixture of Malay and Chinese traditions. Pernakans enjoy tasty, spicy and aromatic foods like Nyonya dishes. You can go to Pernakan Museum to learn more about their traditions and customs. If you want a realistic one, head to Joo Chiat and Katong. 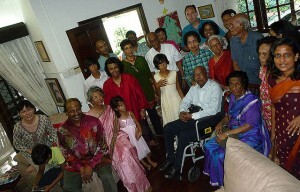 Indians are the third largest ethnic group here in Singapore. Almost half of the Indian population here is Hindu with more than 30 Hindu temples spread across the country. Hindus celebrate Deepavali or fondly known as Festival of Lights or Diwali, Indian New Year and Thaipusam. If you want to see the community, you can always visit Little India. Regardless of your ethnicity, you are welcome in every festival or gatherings. You will now understand why Singapore is the melting pot of cultures. After your visit, you will surely appreciate every culture and you will see how each culture contribute to the development of the nation. Go out from your ethnic group and discover the camaraderie of other groups. This entry was posted on Saturday, July 20th, 2013 at 3:03 am by Editor	and is filed under Smart Choices, Smart Lifestyle Choices. You can follow any responses to this entry through the RSS 2.0 feed. You can skip to the end and leave a response. Pinging is currently not allowed.